Have you all seen Bernas Tooele listing on the 4 bedroom home at Walden Hills? If not and you are in the market to buy something special for under $200,000 dollars, this is worth looking at. And if you haven't compared the value of Tooele houses with homes for sale in Salt Lake County then you need to start. Tooele County real estate provides a 'getting in on the ground floor' dimension as the only way growth can go is west. Here's what Berna had to say about her new listing. Check out this Tooele home for sale in Walden Hills. • 2,052 sq. ft., 3 bath, 4 bdrm Tri Level - MLS $199,000. Located close enough to the 'big city' that you can work in Salt Lake & live in an area where you can hike and know your neighbors. Small town atmosphere with access to all the big city has to offer. Only 35 freeway minutes to downtown Salt Lake City. Miller Sports Park for the guys! Deseret Peak for the kids, Neighborhood safety for mom, and FUN for the whole family. 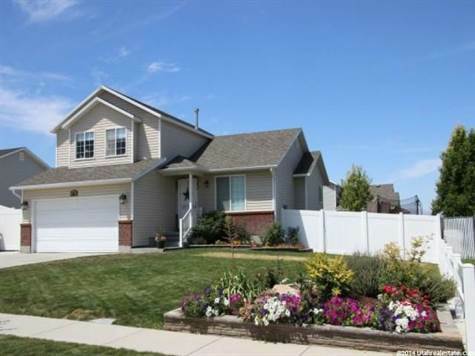 This Tooele home for sale in Walden Hills could be the house you have been looking for! If you are convinced that Tooele County is where you want to live, but this house is not for you, you can see all of the homes for sale in Tooele UTright here. you can compare prices, get directions, save your searches, or register for a personal search, finding only the type home you are interested in. Walden Hills Tooele County, Utah - This gorgeous home features a deck w/misters and shades. RV parking w/12' gate. Lots of upgrades. Tiled bathrooms. Close to elementary school and park. Great neighborhood. Short commute to SLC. For more information about this Tooele home for sale in Walden Hills, give me a call, Berna Sloan 435-840-5029. Today!